Kotaro "Taro" Miyasato began competitive bowling as a teenager in 1938 and promoted the sport throughout his life. Kotaro "Taro" Miyasato, 87, one of only two bowlers to make it into the Hawaii Sports Hall of Fame, died Sunday at St. Francis Hospice. "Even up to maybe three months ago, he was still fitting and drilling bowling balls at his shop," said Earle Suyeoka, first vice president of the Oahu Bowling Association. "He was always in the shop. That was his love, working in the shop." Miyasato started Taro's Bowling Pro Shop in 1975 at MAK Bowl, 1520 N. School St. His wife, Mutsue (Mary), is keeping it going, Suyeoka said. Miyasato began competitive bowling in 1938 "and went on to exhibit his mastery of the sport over the next three decades," the Oahu Bowling Association said in a commemorative article about him in its annual book reporting averages of all bowlers. He was Hawaii Territorial or State Match Game Champion seven times, winning the title in 1946, 1947, 1951, 1952, 1953, 1956 and 1960. He was recognized nationally in 1965 when he rolled a sanctioned 300 game during an All-Star Tournament in Philadelphia, the association said. 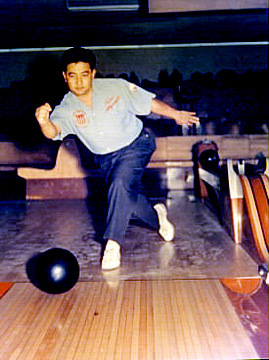 Miyasato promoted bowling throughout his life, founding many bowling tournaments and acting as Hawaii Bowling Proprietors Association youth bowling director from 1962 to 1972. He was the City Tournament All Events Champion in 1957, and in 1960 he was inducted into the Oahu Bowling Association Hall of Fame. He and Hiroto Hirashina are the only two Hawaii bowlers recognized by the Hawaii Sports Hall of Fame. Miyasato was inducted in 1978. He bowled in most top leagues, and "he was the 'man' everyone wanted to beat, as were his teams," the Oahu Bowling Association said in its book. Daniel Lipps, who has been a driller at the pro shop for 15 years, said Miyasato "was a great person to work for, and he taught me how important it is to make your spares when bowling." "He was a real rascal," Suyeoka said. "He was always real helpful with bowlers. If they needed help, he'd be right there." Miyasato was born in Koolaupoko, Heeia, Hawaii. Besides his wife, survivors include son Douglas, daughters Elizabeth Miyasato and Lynne Nakamura, sister Chiyo Ishiki, nine grandchildren and 10 great-grandchildren. A memorial service will be held at 6 p.m. Tuesday at the Mililani Mortuary Mauka Chapel. Visitation will be at 5 p.m. Aloha attire.